Photoscape 2018 Free Download Latest version of one of the best free image editors. 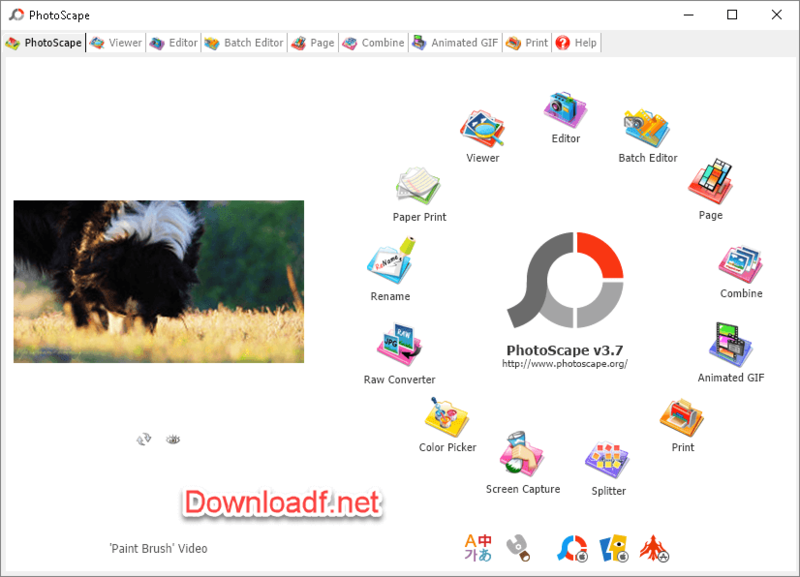 Photoscape is a utility that will allow you to modify your photos and images easilyand simply. 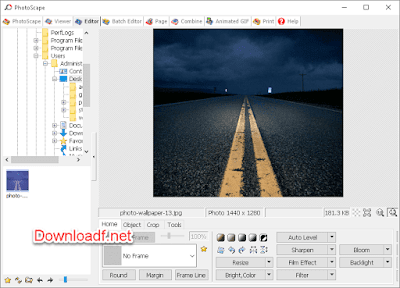 PhotoScape is a freeware images and photos editing program for Windows and mac, that offering a wide range of image effect and filters and a collection of image frames that can be applied to your photos. 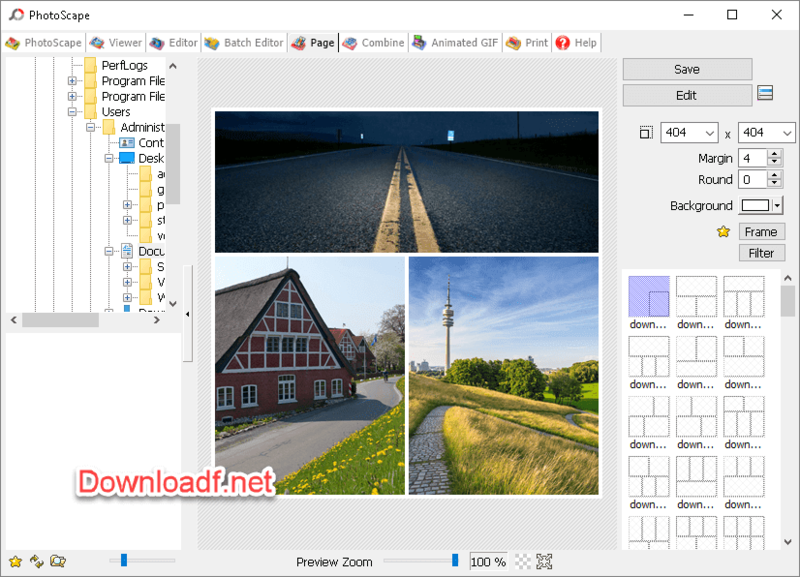 Photoscape 2018 allows to make change the balance of the colors, adjust brightness, to makes the photos even better. and keeps good quality of images and adding a professional touch by adding frames and effects on the pictures. - You can view the photos you have recorded in your folders in animation. - It is capable of changing the size, brightness, color adjustment, white balance, contrast correction. - You can make mosaics and montages, even adding text to your photos. - You can remove red eyes from photos. - You can make GIF animations, that is, you can make an animated photo with severalphotos. - You can add frames. - It is able to print letters of visit, photos size of card, etc. - Convert the RAW format files to JPG format. - You can modify several photos at the same time. - Divide the photos into different pieces. The browser allows you to view photos on the disk, along with the metadata attached to them, such as information about the camera and the place where the photo was taken. Here you can also rotate the photo, change its size or delete all metadata. The editor allows you to rotate your photo, change the frame, change the proportions of the image and straighten the horizon. The adjustment tools include automatic contrast and brightness adjustment, as well as sliders to manually adjust the brightness of the illuminated areas, the depth of the shadows, the brightness of the colors, and the backlight correction. In further panels we can find a rich collection of filters imitating analog films and imperfections of old lenses, various artistic effects and frames. The editor also has an insert mode where you can add text, a different picture or shape to the photo. Many of these actions can be done on several photos at once, using the queue option, that can we used to set the size of the images, effects and corrections. Collage from several photos using one of the available templates or simply by stacking photos next to each other. (see the photo below) Creating GIFs is made easy - just drag a few photos, choose the target file size and the transition time between photos. 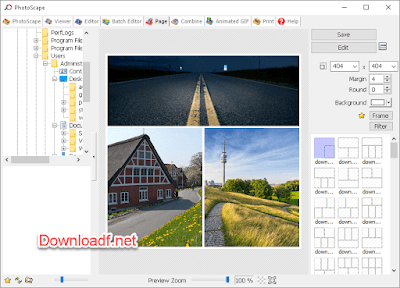 Moreover, Photoscape 2018 editor offers image resizing, red eye removal, frames, balloons, mosaic mode, adding text, basic drawing tools, Convert RAW to JPG. and many more..